You don't need a snowstorm to enjoy Snowball Fight! 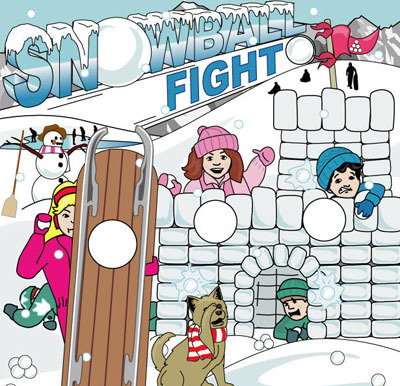 Kids and adults alike are challenged to throw the snowballs in strategic spots on the snow fort, sled, and hillside. This colorful 7'x7' game can be set up in less than five minutes and can be used indoors or outdoors.